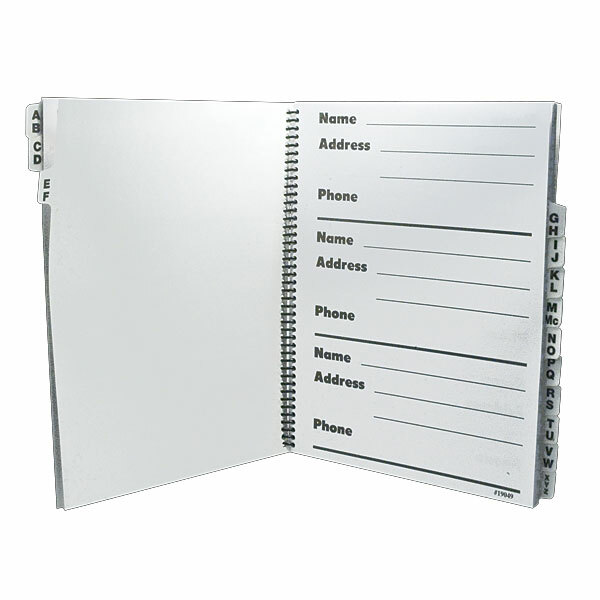 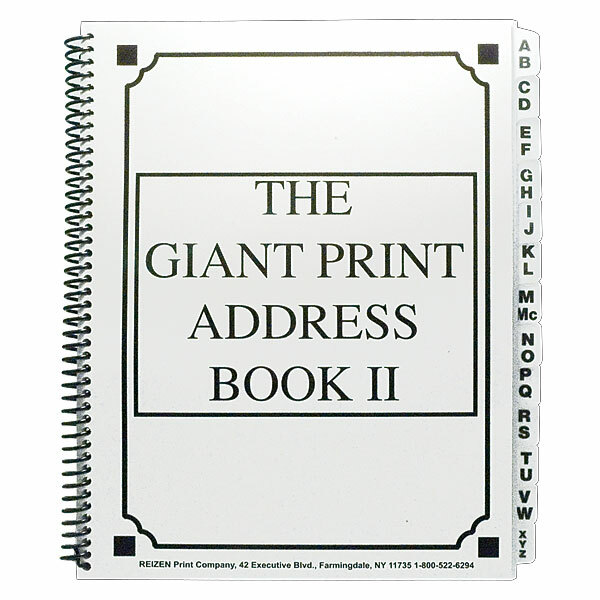 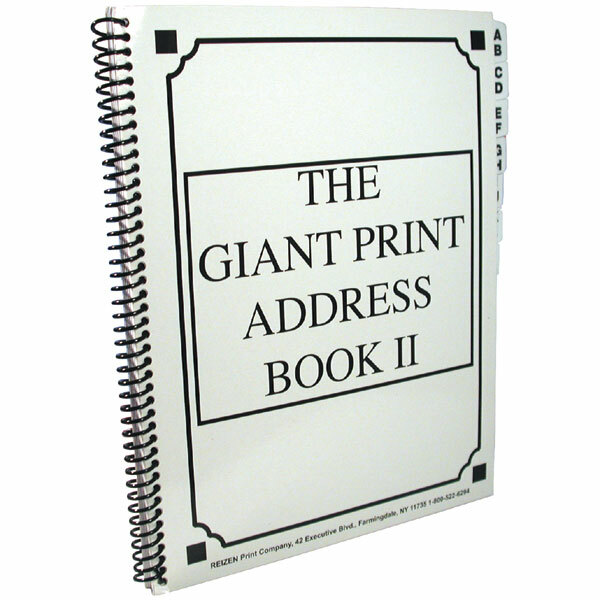 "Keeps Your Information in Plain View"
This address book provides space for all the information anyone with low vision (or perfect vision) could need. The spill-resistant cover has inner pockets on both the front and the back to hold important papers. 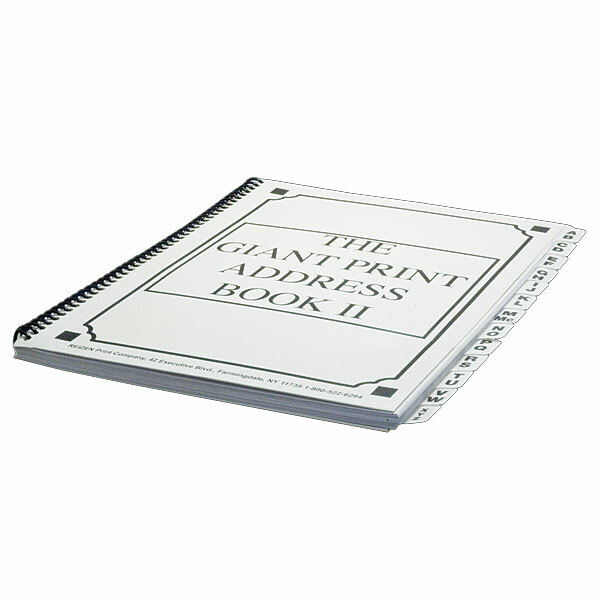 The opening page has spaces for all your emergency numbers including Fire, Police, Ambulance, Neighbor, Relative and more. 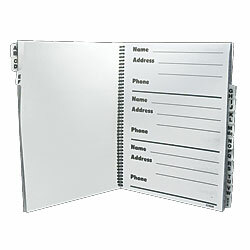 Each tabbed section (example: AB) has three pages for a total of 18 names for each section. 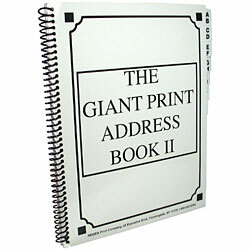 Entire book holds a total of up to 234 names and phone numbers. 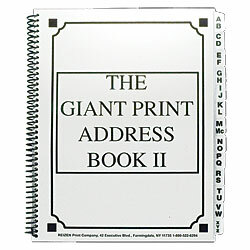 Spiral bound with thick rubber coated wire and no sharp ends Size: 8-1/2 x 11.